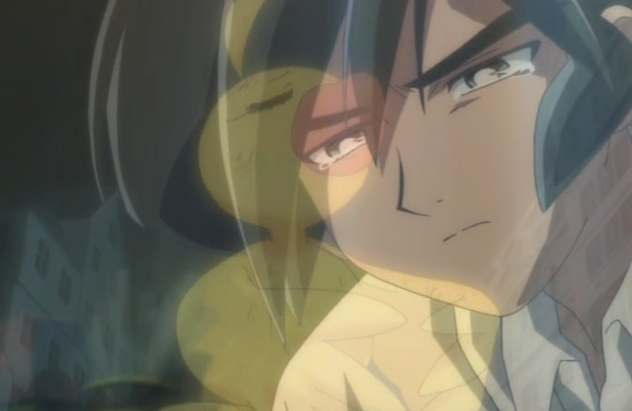 I had conflicting feelings when I first watched Princess Tutu. The endings to the two seasons were emotionally gripping, but I was bored out of my mind with the repetitive slow boil of the early episodic adventures. Therefore, when I rewatched it this year, I ended up watching ep 1-6, 9-13, 14, and 20-26, thereby skipping much of the episodic material. It was a lot more enjoyable this time around, knowing the basic premise but seeing the major developments in plot and character in a more condensed manner. To be honest, despite enjoying it more this time, I’m still trying to form coherent thoughts about Princess Tutu as a whole. The best way I can think so far is to organize my thoughts under the themes of Love and Fate. I’ll cover what Princess Tutu has to say about Love in the following paragraphs, and put my half-baked thoughts about Fate in the addendum if you wish to read it. 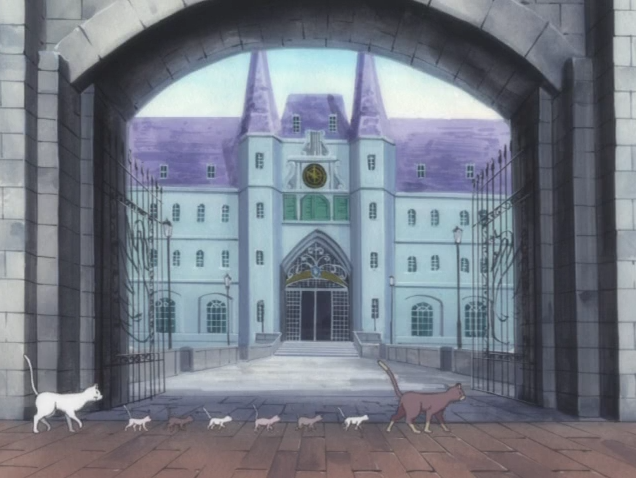 If we define love as positive feelings toward others, Princess Tutu showcases a variety of examples (and even parodies it with the running gag of Cat-sensei threatening to have his students marry him). Mytho and Duck represent selfless love, with Mytho compulsively needing to protect all weak beings and Duck initially helping Mytho for his benefit. In contrast, Rue and Fakir both have a selfish, possessive kind of love. Rue wants Mytho for herself, and Fakir wants to ensure his safety by keeping him away from others. Princess Tutu seems to treat selfless love as divine but unrealistic, and selfish love as flawed but sympathetic. Mytho spends most of the story less as a fully realized character and more an emotionless doll to be manipulated by both the heroes and villains. Duck’s self-effacing devotion to Mytho is treated as a naive crush, and she later realizes she can’t play the altruistic role when the time comes for her to give up her Princess Tutu self. Meanwhile, both Fakir and Rue are treated sympathetically, with Rue being brainwashed from childhood and Fakir’s desire to protect Mytho stemming from his genuinely caring about the latter. However, the show also argues that even flawed, selfish people are capable of selflessness. The culmination of both Fakir’s and Rue’s arcs are great examples. In season 1, Fakir gradually learns to respect Mytho’s growing agency, and eventually sacrifices himself for Mytho, trusting Princess Tutu to take care of him (hold that thought). In season 2, Rue gradually gains the courage to rebel against her upbringing and her role as the villain, and in a moment of heartbreaking yet heartwarming resolve, sacrifices herself to free Mytho from his curse. Both are eventually saved, as if the show is trying to reinforce its approval of altruism. A final relationship I haven’t mentioned yet is perhaps the most satisfying: the one of tested mutual trust between Duck and Fakir. The two are originally distrustful because they consider the other’s efforts to be against Mytho’s best interests, but realize they have more to gain by cooperating, and eventually grow close through mutual support. Fakir pulls Duck out of despair when she worries she can’t let go of her Princess Tutu role, and Duck encourages Fakir as he confronts his self-doubt as a knight and eventually a storyteller. 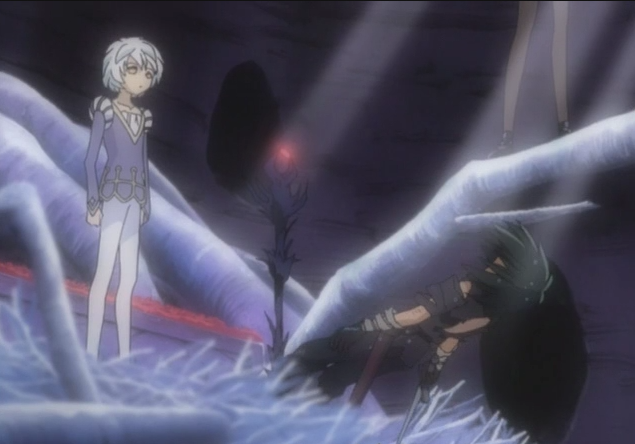 Their trust reaches its most intimate in the final battle as Duck asks Fakir to write about her, effectively putting her fate under his tenuous control. No matter what you label this relationship, it is a truly valuable (and heartwarming) one. I’ll stop my rambling here. If you want, you can read my half-baked thoughts about fate in the addendum. I really enjoyed the rewatch when I was able to skip a lot of the episodic material that did little to move the character relationships along, and I also managed to understand its central messages a lot better. Princess Tutu showcases a variety of forms of love, both selfish and altruistic. It considers selfish love to be flawed and sympathetic, but celebrates when the same flawed people act in altruistic ways. At the end of the day, Princess Tutu is a good anime, and deserves a watch. For more information about the 12 Days of Anime challenge, you can read my intro post here. Princess Tutu does not hide the fact that life can be unfair. The “God” of the universe, Drosselmeyer, actively wants the story to end in tragedy. However, Duck with her unending hope always finds a miracle to defy fate. Hope is being forbidden to confess your love to the Prince, and then doing it anyway through a wordless dance. Hope is continuing to dance as a duck despite being beaten down by the crows around you. And hope is what binds your friends together to continue the struggle to better your lives. Duck’s refusal to give in to despair inspires Fakir to continue using his writing powers to bring about a happy ending, encourages Mytho to fight his way into the Raven’s lair, and ultimately lifts Rue out of despair. Both triumphs in the first and second season contain some element of a miracle, but with the protagonists defying overwhelming odds through unyielding hope, it feels like the miracles are earned. This kind of resonates with similar themes in Madoka Magica, as pointed out in a fantastic essay at the Wrong Every Time blog. The system is stacked against you, and many succumb to despair, but if there is someone who dares to defy their fate, they will become a symbol of hope against an uncaring universe. I found this in 2018, and it still is a great read. Thank you for sharing your insight on this beloved but underrated series.